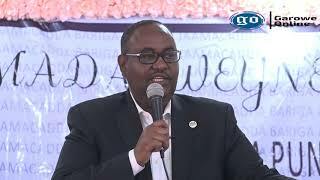 MOGADISHU, Somalia Sept 8, 2014 (Garowe Online)-Federal Government of Somalia’s President Hassan Sheikh Mohamud has reportedly opposed sacking of National Intelligence and Security Agency Boss Abdullahi Mohamed Ali (Sanbaloshe) according to presidency sources, Garowe Online reports. 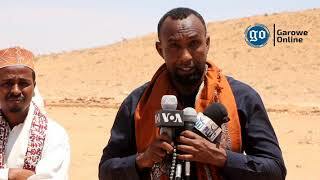 “The decision by Council of Ministers is faltering and illegitimate,” Mohamud was quoted as saying by aides. 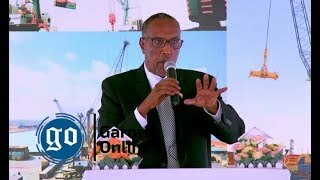 Prime Minister Abdiweli Sheikh Ahmed Mohamed who was presiding over Sunday’s extraordinary session that led to the sacking of Sanbaloshe over incompetency has yet to meet Mohamud, reliable sources indicated. 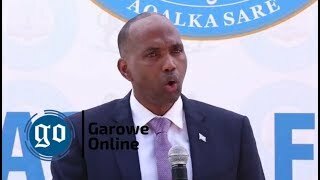 Cabinet Ministers fired Intelligence Chief in an overwhelming vote on Sunday, with spokesman of Somalia government afterwards disclosing to the media that Sanbaloshe who has been in the office just for two months failed to remain competent and effective in the job. 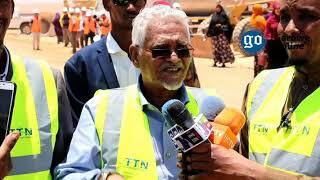 If President Mohamud doesn’t sign the move by cabinet into approval, political infighting will be imminent. 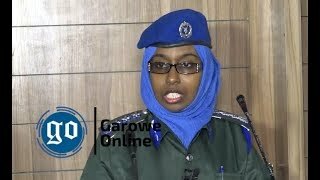 Intelligence service targeted buildings housing notorious warlords with massive armed operations in late August, prompting criticism by Hawiye Clan elders.